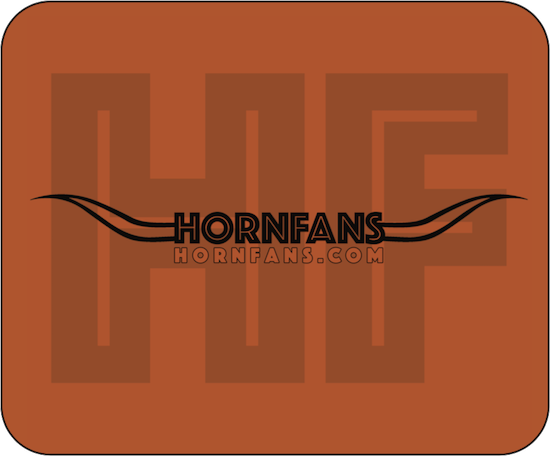 OK Horn fans, it’s time to replace that nasty AOL mouse pad you’ve had since Major was tossing the rock to Sloan, B.J. and Roy. 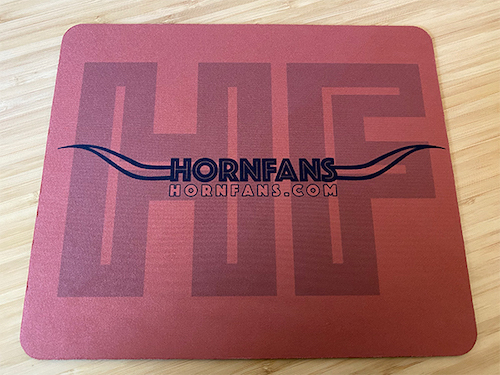 So grab yourself one of these Special Edition Hornfans Mouse Pads while they last ... only $10 each. If you are a Hornfans sponsor or donor, PM Dionysus your name and mailing address and we will send one of these magnificent specimens to you for free. Click the Buy Now button below and check out on the PayPal site. You do not need a PayPal account for this, you can use any major credit or debit card. If you prefer not to use PayPal, send your name, email address, and mailing address through the Contact Page and we will send you an invoice with a link to a secure online payment portal. Make sure to include your mailing address in the Special Instructions or we will not know where to send your mouse pad. If you have any questions or problems with your order, go to the Contact Page and send a message. Your purchase helps support Hornfans. Just wanted to say thank you for the mousepad! I got it today, and I love it. I got my nifty HF mouse pad in the mail yesterday - it is ALLSOME ! Received it at the office in the weekend's mail...confirmed ALLSOME! And anyone who disagrees would be an IDOIT! Your mouse pad is evidently water and hot tea proof. After spilling both on it, it looks as good as new. Received it. Looks great! Thank you for sending these!